DriverPack Solution 16 latest version free download with online and offline full installer links for all windows. DriverPack Solution (DRP) is all in one driver pack which includes Sound, Video, Wireless, LAN, Bluetooth, USB, Motherboards and bundle of others. DriverPack Solution is appropriate method to install any type of drivers into any type of windows based system such as Notebook, Laptop or Desktop computer. We previously share lot of other online driver updating tools which will need internet connection to find, search and download required driver but DRP doesn't needs any type of network connection. Previously we share Uniblue DriverScanner, DriverMax, Easy Driver Professional and Driver Identifier as the popular driver updating and driver installing utilities. All of these are paid and didn't available as freeware for users. However, DRP is best for installing any type of drivers into any type of computer system. Finding drivers for unknown devices listed in Device Manager is most difficult job then downloading and installing it to PC. 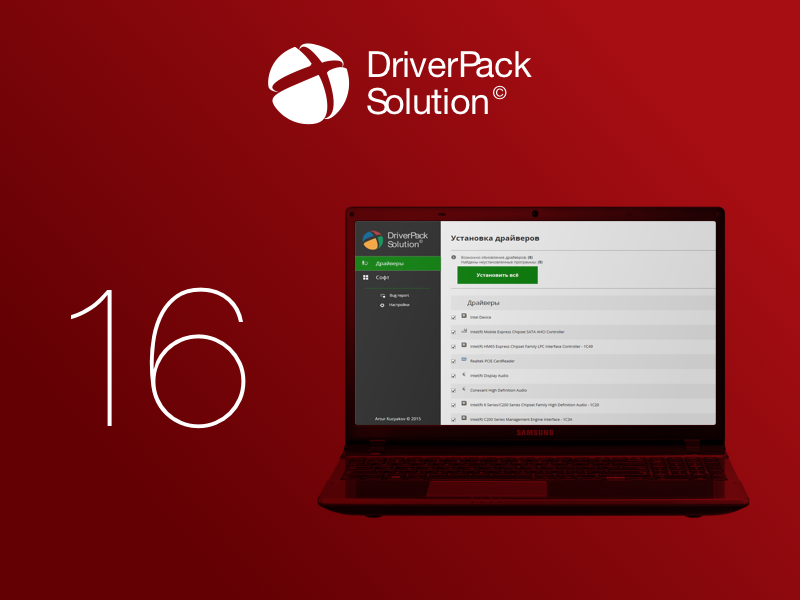 DriverPack Solution doesn't need any special approach to download, find, match etc. to install drivers of your system. We know that every computer company has different models and each model has different motherboard chip. So we can say that mostly systems have unique driver companies as well as driver versions. The big thing before installing a drivers by downloading individual files is to note the Microsoft Windows OS version because the driver files will be compatible for specific OS's. DRP is simple, fast and reliable way to automatically install drivers so it doesn't matter that what type of your system as well as what version of your OS. DriverPack Solution can automatically detect system chip, motherboard manufacturer and the model of target system too. DRP has a big driver files into database which will be matched with target system before installation. If files matched to PC then it would be installed without getting errors. DriverPack Solution supports all computer (parts) manufactures including IBM, Asus, Intel, HP, Dell, Realtek, SoundMAX, Broadcom, Samsung, Creative, Qualcomm, Lenovo, Nvidea, ATI, Microsoft, Lenovo and more. Note : You must need a torrent file downloader to download the file. e.g. Utorrent.